Norton Coursepacks offer a variety of activities and assessment materials for instructors who use Blackboard or other learning management systems. 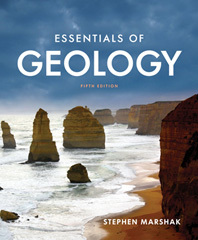 The Essentials of Geology Coursepack includes reading quizzes with visual questions, animations and simulations, streaming video that includes both the Narrative Art Videos and real world videos, Science & Society Features with multiple choice questions, Google Earth KMZ files, and flashcards. 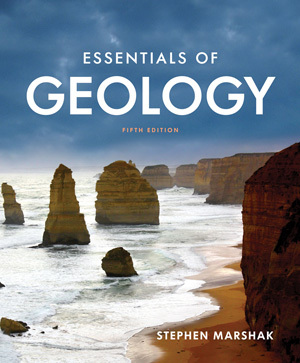 The full coursepacks listed above contain the GEOTOURS WORKSHEETS Quizzes, based on the First Edition of the Geotours workbook. In July 2017, we released new quizzes that match the Second Edition of the Workbook. If you would like to update your coursepack, or you simply wish to only use the new GEOTOURS Worksheets rather than the full coursepack, you can download the Worksheets below and add them to your existing course. These art-focused lecture slides feature text optimized for presentation. Supplemental photographs, embedded animations and simulations, "key takeaway" slides, and think-pair-share slides with thought provoking questions are also included. These semester-by-semester updates cover current events and news in geology. These questions can be added as-needed to existing PowerPoint decks to check student comprehension in class. Labeled slides feature art from the book with captions. Unlabeled slides feature figures with all labeling removed, which can be used for in-class visual quizzing, with or without clickers. Developed by Alex Glass (Duke University) and Stephen Marshak (University of Illinois) these brief conceptual animations and simulations are perfect for in-class or online use. All have been completely revised to provide a consistent, detailed, 3D appearance. Selected animations and simulations include interactive controls that allow students to experiment with various geologic systems. Offline versions of the Animations and Simulations are available on the Instructor USB Flash Drive. To request one, please contact your Norton representative. Written and narrated by Stephen Marshak, Narrative Art videos bring textbook figures and supplementary photographs to life, helping students to better understand key concepts from the course. These Narrative Art videos that describe core topics are free to students on the student site, in Coursepacks, for online streaming, and are also available on the memory stick. Further, we provide instructors with a large and varied bank of brief clips showing geologic processes and instruction that are supported by teaching materials and questions. Offline versions of the Narrative Art Videos are available on the Instructor USB Flash Drive. To request one, please contact your Norton representative. A varied selection of brief video clips showcasing natural geologic processes are available for in-class and online use. Chapter 14: What's in Our Water? Offline versions of the Supplementary Videos are available on the Instructor USB Flash Drive. To request one, please contact your Norton representative. Download and install Google Earth™ on your personal computer. You can do this at www.google.com/earth/. You can automatically download and install all the sites noted in the book by downloading and installing the KMZ file below. Or, you can type the latitude and longitude for each site into Google Earth™ to go directly to that site. If you need help, download this file for complete instructions. For help using the features or learning about system requirements for Google Earth™ visit www.google.com/earth/learn/. Note: If you are using a school or library computer, you may not have the administrator privileges needed to install this software. Google Earth™ is available as an app for both Apple and Android. Visit the app stores for either to download. Once you have downloaded the app, you can type the latitude and longitude for each site into Google Earth™ to go directly to that site. If you need help, download this file for complete instructions. The Test Bank features questions classified by: Bloom’s taxonomy, section, and difficulty—facilitating meaningful and diagnostic evaluation. At least 5 short answer questions per chapter—new to this edition—test students’ critical thinking skills.